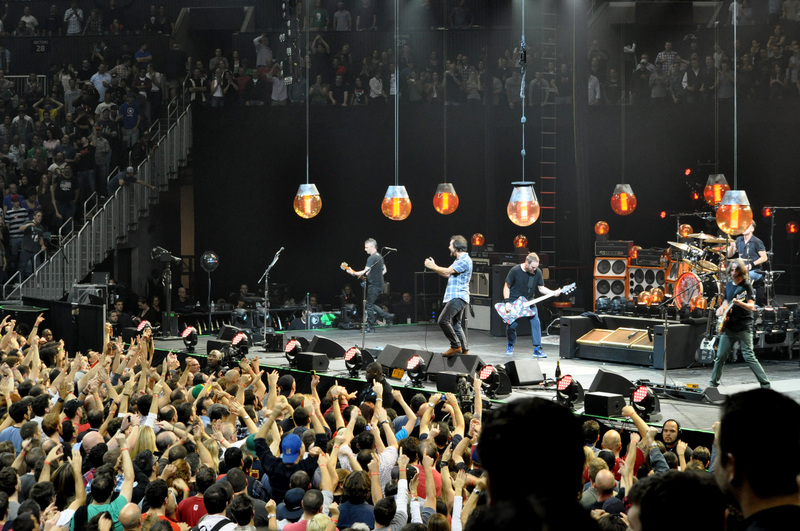 Pearl Jam held a charity show in their hometown, Seattle. The show had a specific purpose: to help the homeless and bring awareness to homelessness in that city. The Seattle band noticed the need and acted on it. The homeless community largely lives on the streets and under bridges near 1-5. The overpass serves as the homes of many homeless people in the community. This homecoming was unique because the band had come home to unite the community and that is exactly what they did. The band played a three-hour show as they reminisced and took a walk down memory lane with their community. The show was a tool for the band to bring awareness and raise money to benefit the large homeless population in Seattle. This show was a game changer for many reasons. This was the first time in five years since Pearl Jam has played a show in their hometown. In addition to this, it was the biggest local crowd to ever see a Seattle band, much bigger than the few dozen who witnessed their first Off Ramp Concert. The band originally planned to raise $1M to support the homeless. But to the surprise of many, the band was able to raise $12M in support of those who are affected by homelessness in that region. Pearl Jam decided to donate $1M to the cause from ticket revenue and other sources. Other donations came from corporate partners, sponsors, and individual fans. The band surpasses many milestones this weekend.